The 1.5 Gallon Pump-Up Foam-All Pro is a portable foam applicator for applying pre-diluted, foaming chemicals to any surface as rich, clinging foam. This "Pro" model features heavy-duty trigger gun components and combines the advantages of foam cleaning with the familiar ease and portability of a typical pump-up sprayer. The 1.5 Gallon Pump-Up Foam-All Pro uses pressure generated by the manual pump to draw ready-to-use chemicals from the 1.5 gallon tank and inject air into the solution to create and project high quality foam. This equipment is ideal for foaming applications requiring minimal over-spray. 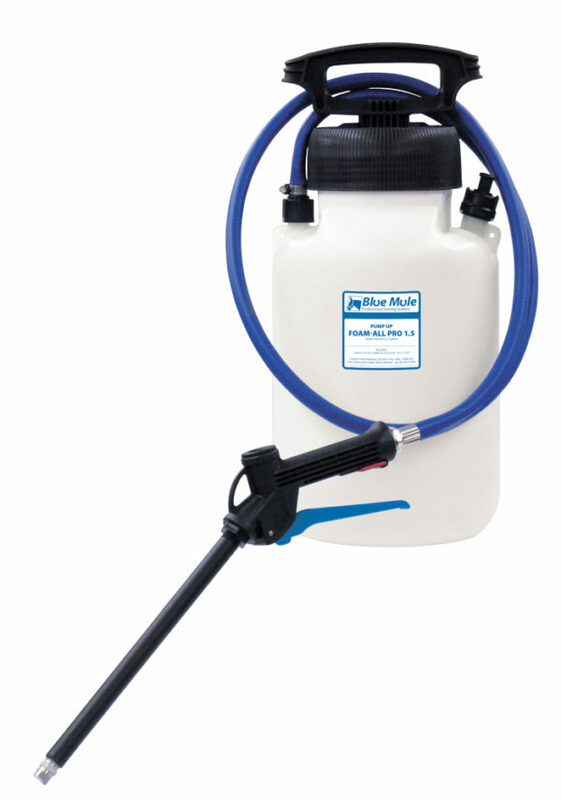 The 3 Gallon Pump-Up Foam-All Pro is a portable foam applicator for applying pre-diluted, foaming chemicals to any surface as rich, clinging foam. This "Pro" model features heavy-duty trigger gun components and combines the advantages of foam cleaning with the familiar ease and portability of a typical pump-up sprayer. The 3 Gallon Pump-Up Foam-All Pro uses pressure generated by the manual pump to draw ready-to-use chemicals from the 3 gallon tank and inject air into the solution to create and project high quality foam. Use the compressed air "quick charge" valve to eliminate pumping. This equipment is ideal for foaming applications requiring minimal over-spray.